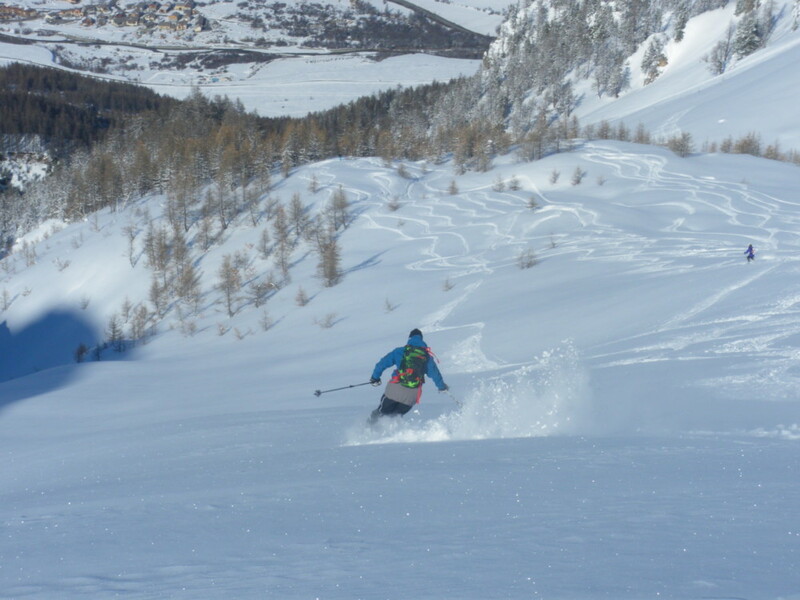 Long runs in a mountainous area, no ski lifts, groomers, fences and marked pistes. La Grave has no match in Europe! Five colourful gondolas or Téléphériques des Glaciers de La Meije is the only ski lift to be found. 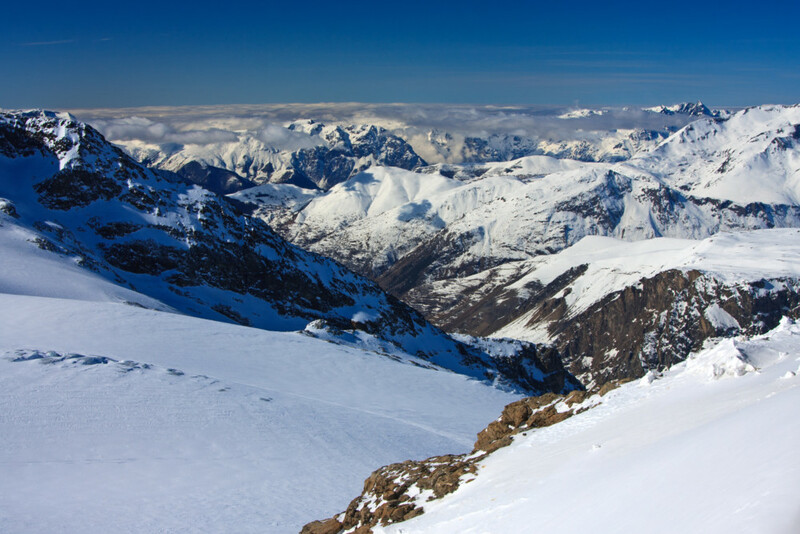 Powder snow-seeking skiers and snowboarders are taken up to 3200 m above sea level where they discover amazing riding opportunities in a real mountain paradise. La Grave itself is a whole new world, too. 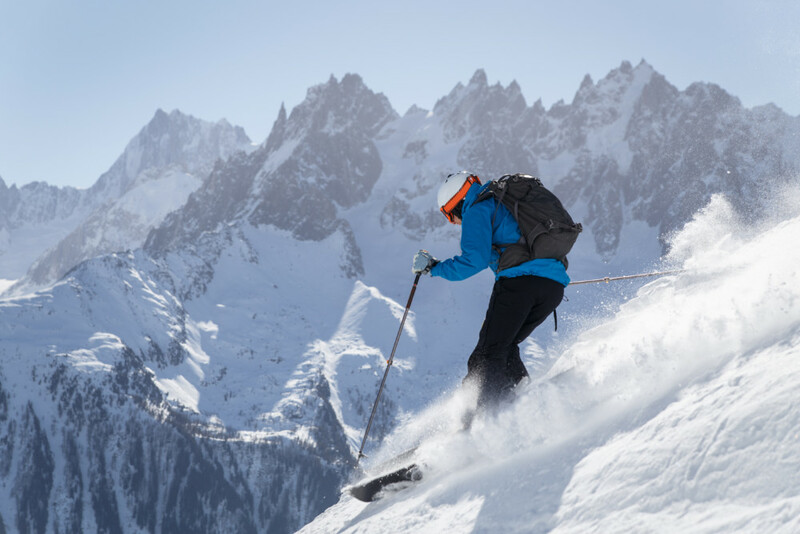 It is one of the very few places where everyone walks around wearing grotesque ski clothing, equipped with avalanche transceivers, and carrying free-ride skis on their shoulders. And all they talk about while sipping beer is the current snow conditions and best routes downhill. Just picture that! Welcome to La Grave. 5 connected cable cars, all painted in happy colours, are La Grave’s trademark. Places that have never seen a groomer, snow cannons or man-made snowparks. 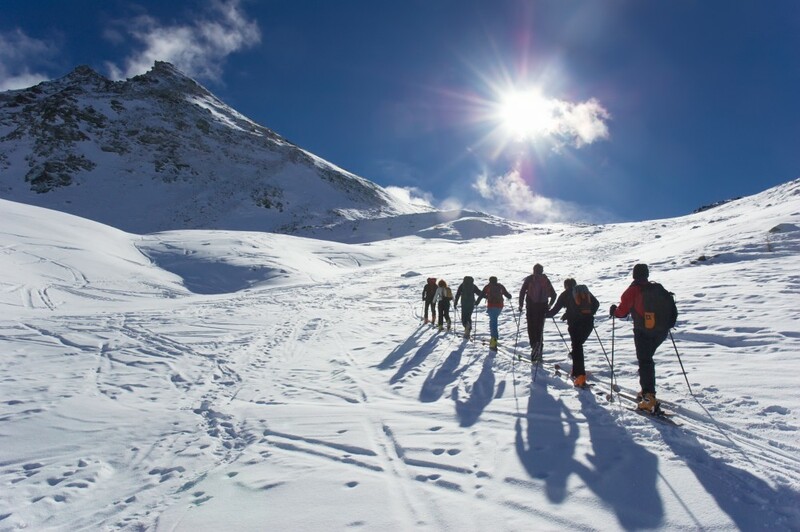 Even though La Grave is located nearby other traditional ski resorts (the famous Les 2 Alpes is just on the other side of the mountain), it is a completely different world. 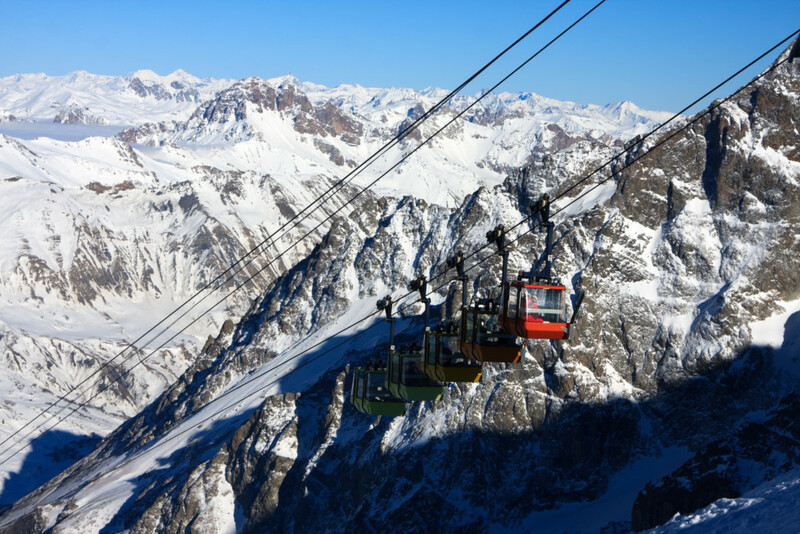 The gondola lift takes you from 1400 m to 3200 m above sea level. At the top you will find just 1 T-bar lift that goes up to 3550m, which allows you to go Les 2 Alpes on the other side of the mountain. And that’s about it. It is rather difficult to define La Grave as a ski resort. From the top of the cable car there are 2000 metres of downhill riding with stunning views. 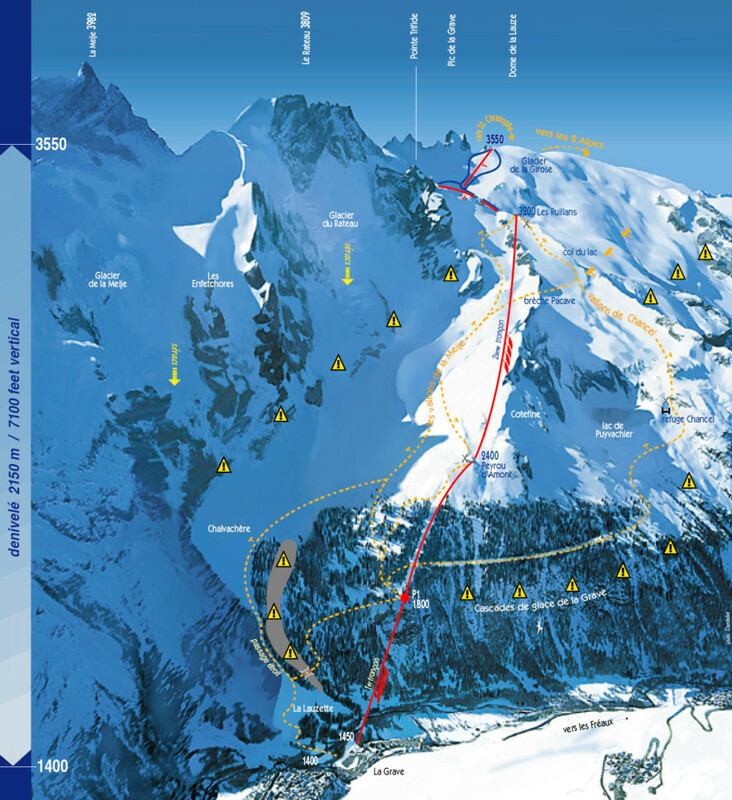 There are two main routes marked on the map, de la Meije and Chancal, on both sides of the gondola lift. Two routes but dozens of ways to enjoy them. Apart from that area, you will find there also so many other routes downhill. 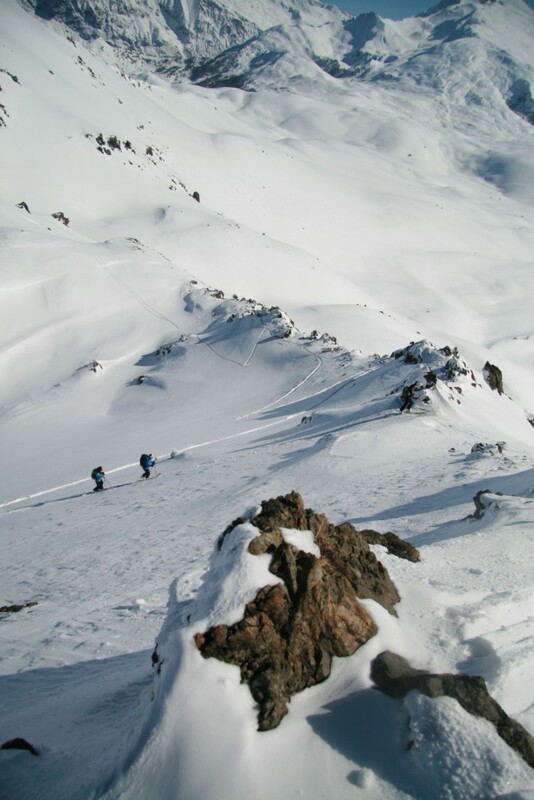 You can choose pick and choose from narrow gullies to long and wide slopes. It’s best to stay accompanied by someone who knows the area inside out, as they will know which gully may not be accessible without a rope, where to avoid cracks on the glacier and where the route will take you as many end beyond La Grave. When skiing in La Grave you must remember that you are high up in the mountains beyond the secured and patrolled areas. The routes marked on a map are considered fairly safe, but everything depends on the weather conditions and avalanche risk. You are informed about the conditions daily by the local guards. 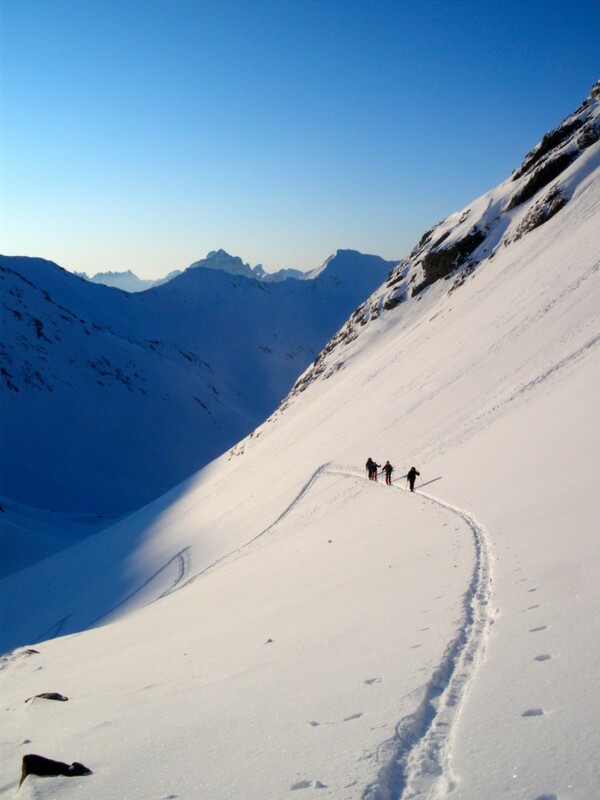 You must be equipped with the necessary avalanche gear at all times and be familiar with using it. Never underestimate the weather changeability in the mountains. We provide accommodation for 7 nights in Gite le Rocher. It is probably the friendliest and the most unique hostel we have ever stayed in. The hostel is run by a French lady Mariva and her off-beat family. The dining room or common room if you like is always fun and very colourful. 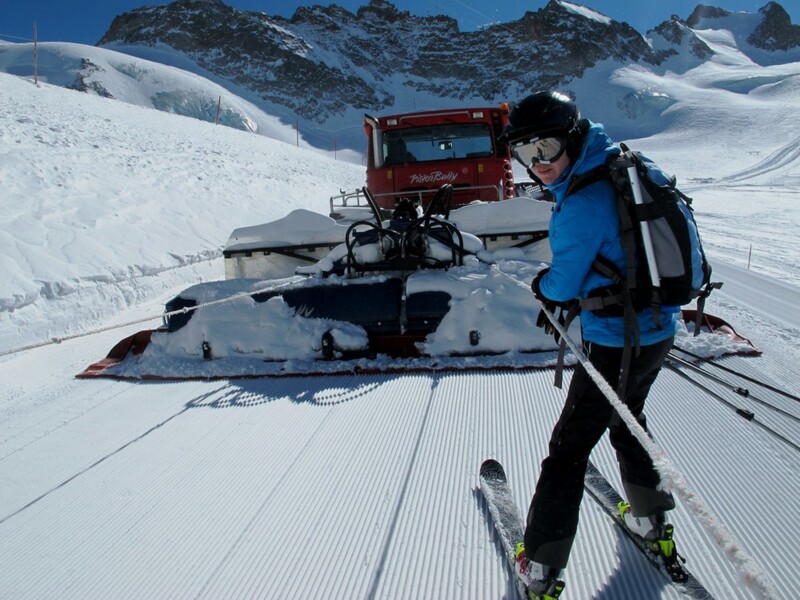 No wonder it’s the most popular choice amongst all the free-riders travelling to La Grave. The kitchen is managed by Simon. He cooks delicious food, but if you don’t want to go for the half-board option, you have full access to the kitchen and can easily prepare your meals yourselves. The hostel offers double or quadruple rooms. Gite le Rocher is located 2 minutes away from the ski lift. You can just go onto the terrace to enjoy the magnificent view of La Meije.